You may have been a good driver your whole life. Maybe you’ve had an occasional speeding ticket over the years, but you’ve never been arrested before. But no matter how cautiously you drive, a number of factors can increase your risk of being charged with a DUI as you get older. We naturally become less responsive, both physically and mentally, as we get older. This can affect our driving as much or more than it affects other aspects of our lives. We can also become more sensitive to, or slower to metabolize substances like alcohol as we age. So even if you’re still able to drive safely under normal conditions, it might not take as much to have a negative effect on your driving ability. 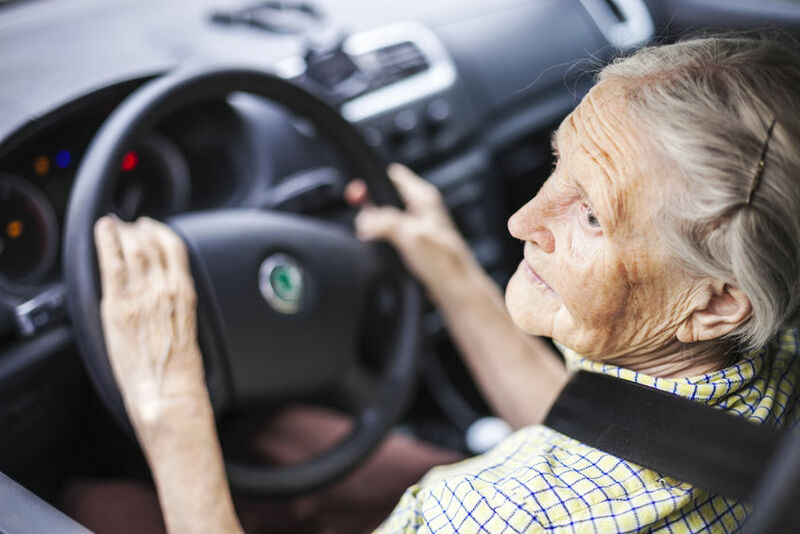 According to the CDC, the risk of being killed or injured in a motor vehicle crash increases as you age. In 2015, an average of 19 older adults were killed and 712 injured every single day. Involvement in fatal crashes increases among drivers ages 70-74 and is highest among drivers 85 and older. Vision and Hearing – It’s no secret that our ability to see and hear diminishes as we get older. Medical conditions like macular degeneration or glaucoma can make things even worse. The importance of vision while driving is obvious, but hearing can also be important. If you miss audible cues, like the sound of a honking horn, screeching tires, or the siren of an emergency vehicle, you may fail to notice a dangerous situation until it’s too late. Stiff Joints/Muscles – Conditions that affect joints and muscles, like arthritis, are much more common in the elderly. Stiffness and pain can make it harder to turn a steering wheel, turn your head, or react quickly when necessary. Reaction Time – Even if you are physically able to react, we naturally respond more slowly as we age. Mental Processes – Aside from the normal senior moments that age can cause, there are serious medical conditions that are more common in the elderly and can affect the brain’s ability to reason. Dementia and Alzheimer’s, for example, can cause confusion or disorientation. The increased rate of health issues as we age results in the increased use of medication. Some medications include warnings against driving while using them. Certain medications can interact to impair the ability to drive. Many medications can also amplify the effects of alcohol, making one or two drinks feel like much more. Even if you are in good health and taking no medication, the older you get, the less tolerant you become to alcohol. There are at least three reasons for this. First, our bodies carry less water as we get older and muscle mass is replaced by fat tissue. This means any alcohol consumed is more concentrated. Second, we simply become more sensitive to alcohol. There is generally decreased blood flow to the liver and a decrease of liver enzymes, so the liver’s ability to deal with alcohol is hampered. Third, the ability of our digestive system to metabolize alcohol decreases with age. This allows more alcohol to enter the bloodstream. Because of all this, it takes less alcohol to reach the legal limit as we get older. Studies suggest this is even more true for women than for men. All of the issues discussed can increase the odds of being charged with a DUI for elderly drivers. If you’re having a hard time driving due to physical problems, then you are more likely to be pulled over. If you try to compensate for your physical problems, you may also be increasing the odds of being pulled over. A cautious driver can exhibit some of the same driving behaviors that police are trained to look for when searching for impaired drivers. The classic example is driving too slowly, which is one of the National Highway Traffic Safety Administration’s (NHTSA) night time driving cues. If you are experiencing some effects of dementia and get confused or disoriented, you could be pulled over and your confusion could be construed by the police as impairment from alcohol or drugs. If you had a relatively small amount of alcohol but are taking medication that amplifies the effect of that alcohol, the police may think that you had a lot more to drink than you’re telling them. Of course, once you’re pulled over you’re more likely to exhibit some of the signs and symptoms of intoxication. Older people typically don’t move as well or have the same ability to balance as younger people. In fact, the NHTSA manual warns officers that anyone over the age of 65 might have difficulty performing field sobriety tests. Unfortunately, this doesn’t always prevent officers from administering these tests to older people anyway. In Arizona, and probably everywhere else, DUI penalties for elderly drivers are the same as for anyone else. An elderly defendant may not be as concerned with some of the collateral consequences of a DUI conviction, like its negative effect on employment opportunities, but may be more concerned with some of the direct consequences, like jail time. Even a single day in jail can be a more significant problem for someone who has some form of dementia or is required to take numerous medications. Although there are many reasons that older people may be more susceptible to DUI charges, these same reasons can sometimes lend themselves to a defense. The State must prove that you are over the legal limit and/or impaired by alcohol or drugs. If your impairment is instead caused by a physical or mental medical condition, you aren’t necessarily driving under the influence. In these circumstances, it’s difficult for the State to prove the cause of impairment beyond a reasonable doubt. If you’re an elderly person who has been charged with a DUI, it’s important to enlist the help of a good DUI lawyer. The lawyer should ask you about your medical conditions and medications, as well as documentation of these. These, and even your age itself can be used to attack the evidence against you. * This blog is published by Tucson DUI lawyer Nathan D. Leonardo. Nothing on this website is intended to create an attorney-client relationship. The information provided herein does not constitute legal advice but is for general information purposes only. 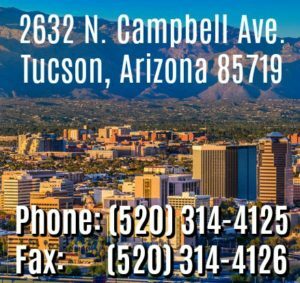 If you have a legal question, you can contact us online or call (520) 314-4125.